Mikaela Shiffrin celebrates during the flower ceremony after the women's Super-G race at the 2019 FIS Alpine Skiing World Championships in Are, Sweden on Feb. 5. Mikaela Shiffrin poses with her gold medal of the women's super-G, at the alpine ski World Championships in Are, Sweden on Feb. 5. 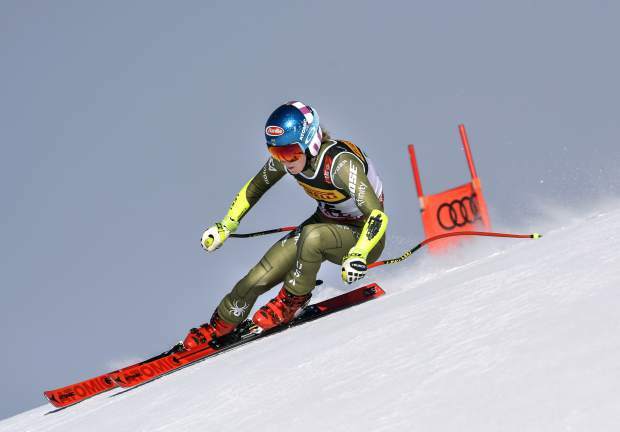 Mikaela Shiffrin competes during the women's super G at the alpine ski World Championships, in Are, Sweden on Feb. 5. 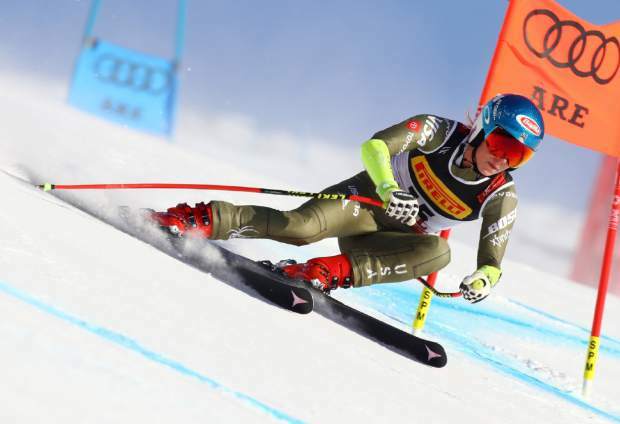 ARE, Sweden — During her inexorable rise to someday becoming the most successful alpine skier in history, Mikaela Shiffrin has been shooting some admiring glances at another young female athlete excelling at her chosen sport. Her decision to skip last week’s Alpine combined, in which she would have been the favorite, surprised Vonn and Bode Miller. Indeed, Vonn said she didn’t understand it, saying Shiffrin had “100 percent the capability” of getting a medal in all five disciplines.